By Brian Voo in Gadgets. Updated on July 9, 2017 . Living on the digital edge where typing is almost an everyday necessity, learning the ways of proper keyboard usage are crucial. Not only are you able to be more productive and get things done quicker with a keyboard, typing faster can enable you to keep up with your brain; that little voice in your head that has great ideas might only last for a few seconds before it’s forgotten. In this article, we’ll give you 5 tips to get you started typing faster and proper. Some of the tips are quite obvious ones, but we’ll provide you with a few apps to help you practice and learn faster. Getting rid of your bad typing habits is probably the hardest thing to do. You’ve probably been using the same typing method since you started using a keyboard, right down to where you place your palms. If you’re an FPS (First Person Shooter) gamer you’re probably used to placing your left hand on the WASD keys, and may have stronger fingers on your left hand than your right (speaking from experience here). Others may type only with two fingers, hovering over ten (or more) keys each, always having to keep their eyes on the keyboard to get the right keys. Although you might be typing fast with only half of the needed fingers, you have to put down your foot (or your hands) and break that habit immediately. The next step is to relearn the correct finger placement on the keyboard. If you take a closer look at your keyboard, you’ll notice raised bumps on each of the F key and J key. This is to help you find the correct finger placement without having to look at the keyboard. Ideally, your index fingers should rest on the F and J keys and the other fingers will fall into place naturally. 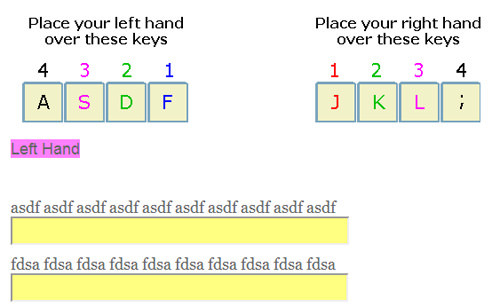 In the picture below, you’ll notice color-coded areas showing the keys covered by each finger. You’ll notice that the middle fingers and ring fingers are used for only a few keys on the keyboard, while your index fingers cover the middle section of the keyboard. Navigational, punctuation and function keys are controlled mostly by the little finger. If this confuses you, head over to websites like the TypingClub or Typing Web where they take you through each step to familiarize yourself with the keyboard. Some of their exercises only involve 2 fingers and as you go through their program, you’ll slowly master the way of faster and proper keyboard typing. Next up: Touch typing. It’s when you type without having to look at the keyboard. In fact, for seasoned typists, looking at the keyboard actually slows them down. To get there takes practice, and we’re not talking about hours here. It could be weeks before you condition your fingers to take control of the keys ‘they’ are responsible for. Even if it slows you down, do not revert to how you used to type. 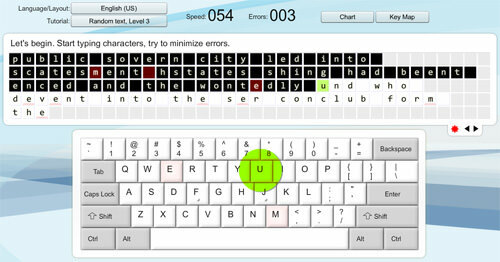 Now, try typing sentences without looking at the keyboard, and try to remember the position of each letter. If you have to sneak a peek at the keyboard, you can, but give the same word or sentence another run, this time without looking at the keyboard. It takes a while but if you are determined, it gets easier every day. Eventually, you will know where each key is and from then on, it’s just a matter of picking up in terms of speed. It’s no surprise why Windows and Mac OS have many keyboard shortcuts. Since both your hands are already on the keyboard, why spend time using a mouse to navigate? You don’t have to remember every shortcut, just the more common ones. You can also use shortcut keys while browsing the web. Here are some shortcuts you could use to navigate in web browsers. Finally, here are some common keyboard shortcuts for more general (Windows) navigation. Using these shortcut keys will require the little finger a lot as many of the modifier keys like Ctrl, Alt and Shift are closest to your little finger. Practicing typing on a keyboard need not be stressful (although it may feel like it at times). You can practice with a lot of typing games. Here are a few websites where you can learn how to conquer the keyboard and have fun at the same time. TypeRacer is a simple and fun game where each player is represented by a car. You’ll be given a passage of text from a book or lyrics to a song, you then type it out to move your car in a ‘race’ with other players. 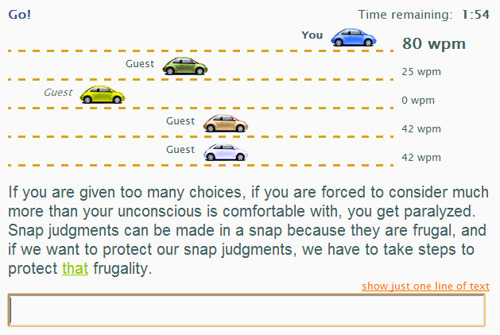 Whoever finishes typing the passage first wins. Typing Maniac is a Facebook game that will get you addicted as you can compete with friends to see who can earn the most points. 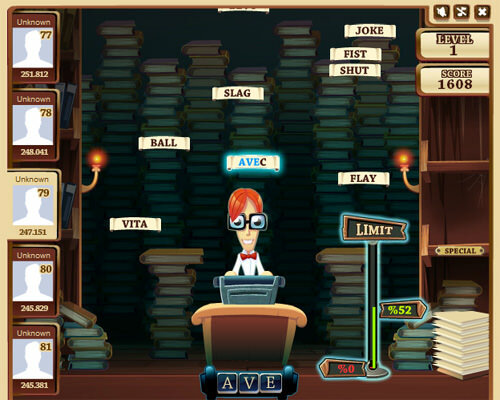 As words appear on your screen, type them out to make them go away before too many land on the ground and cause you to lose the game! Earn points and get a better score if you achieve each level without missing or misspelling a word. Keybr generates readable random words where some words are spelt incorrectly to help you remember common letter combinations better rather than typing random letters. It’ll give you statistics to tell you which area of the keyboard you are weaker in. It also offers words in different languages as well as different keyboard layouts. The exercises in this site get you comfortable with the finger placement by repeatedly asking you to type those letters with the correct finger. It is also offered in different languages. 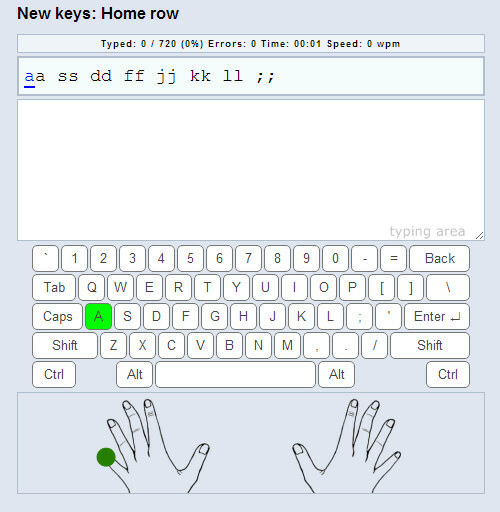 Learn typing is a basic looking website that has a ton of explanation good for beginners learning to touch type. Once you’ve gone through the basics, there are also more advanced exercises which you can do.